Posted on September 2, 2016 by Mrs P.
‘2004: In Bampton, Derbyshire, Lena Fisher is arrested for suffocating her husband, Andrew. A police procedural with a twist. While strong elements of the police procedural are visible in A Deadly Thaw, a significant portion of the narrative explores events from the perspective of individuals caught up in the case – especially sisters Lena and Kat. I really like this varied focus and the 360-degree view of the case it provides. Strong, complex female characters. Lena (recently released from prison) and Kat (a therapist) are both extremely well drawn. Like In Bitter Chill’s Rachel, they are complicated individuals shaped by past experiences, and (like most of us) are sometimes flawed and make mistakes. I find myself liking these characters a lot, even when they don’t behave in an obviously likeable way. Policewoman Connie Childs is also given further depth and it’ll be interesting to see where her story goes. A truly beguiling narrative. I think I’ve figured out why Sarah’s books are so hard to put down: it’s a combination of relatively short chapters with tantalising endings (hat-tip to Dickens) and alternating narrative strands that make the reader desperate to know more. 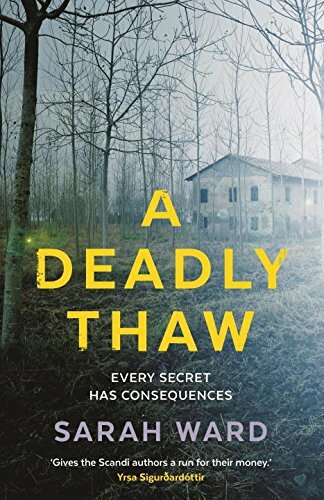 At the same time, A Deadly Thaw is so much more than a simple page-turner. The novel explores substantial themes, such as gender, power and cultures of policing. It’s a stylishly plotted crime novel that’s gripping and thought-provoking in equal measure, and I’m already looking forward to number 3. 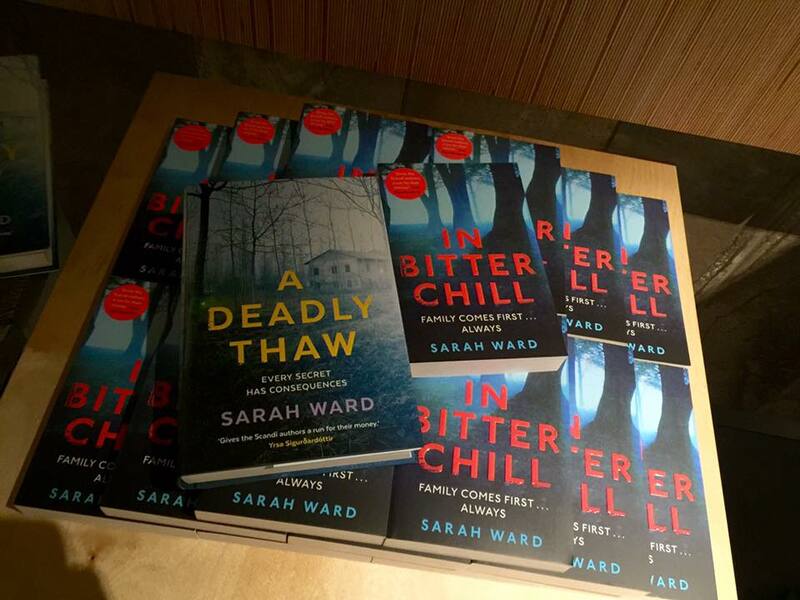 This entry was posted in Book reviews, By country, England and tagged A Deadly Thaw, Sarah Ward by Mrs P.. Bookmark the permalink. Great review Mrs P, as ever. You’ve totally hit the nail on the head – I wish I was so perceptive! I’m with you – I can’t wait for no.3 either! Thanks very much, crimeworm – you’re very kind (though I’m *sure* you’re equally perceptive!). I agree with your review and can’t add to it, except to say that I, too, would like to see how Connie Childs develops. One point I can make is that Sarah Ward’s plots are original; they are not the usual story lines or plot devices a reader sees nowadays, a good thing. 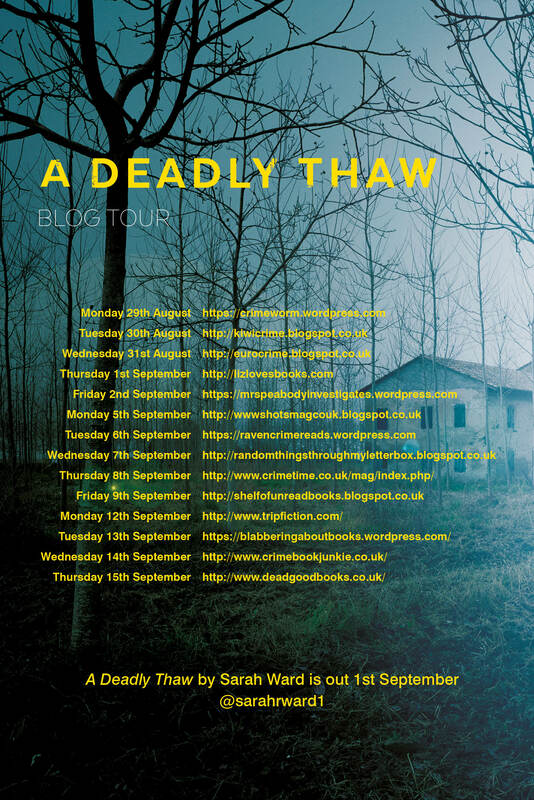 Hello Mrs P. I am eagerly awaiting my copy of A Deadly Thaw, and will get stuck in when it arrives. Your review makes me even more eager to read it. Roll on book number 3 😀. Morning, Kathy P. Really hope you enjoy! Wonderful review of a wonderful book written by an inspiring and amazing woman. Can’t wait to get my copy – probably a treat next time I’m in the UK, and maybe I get Sarah to sign it as well! Thanks, Mrs.P for allowing me to meet one of my favourite writers out there. Thanks, Elena – I’m sure you’ll love it! Good for you! Hope the move goes well.